The Comox Valley has been my home for decades! Let my local’s knowledge help guide you to a Comox Valley community that is best suited for you. From mountainside to seaside, alpine to ocean, or however you want to say it, there is one true thing about it – this Valley is an unbelievable place to call home! I particularly enjoy introducing clients to the wonderful real estate opportunities in the Crown Isle Resort & Golf Community. This quiet suburban area integrates a mix of single and mixed family residential homes, condominiums, single level patio homes and commercial complexes, all with proximity to a Platinum Rated 18-hole golf course. More than real estate, buying a home at Crown Isle offers an amazing and enviable lifestyle for executives, retirees, growing families, and empty nesters. 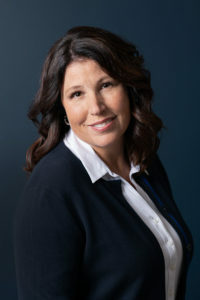 If you want the best the Comox Valley has to offer, I’m your connection to buying a home in Crown Isle. Crown Isle is comprised of custom-built homes and villas that maximize value, safety, and privacy. The community design has been carefully planned to follow West Coast style guidelines to ensure that your real estate investment will retain its value in the future. Crown Isle is one of the Comox Valley’s most desirable communities! Crown Isle is the best place to enjoy the ultimate Vancouver Island lifestyle. Located in East Courtenay, this desirable neighbourhood is just a short drive from Comox Valley amenities and year-round adventures including Mount Washington Alpine Ski Resort, the Comox Valley Airport-YQQ, BC Ferries service to Powell River, shopping plazas, elementary schools, North Island College, the Comox Valley Aquatic Centre and many restaurants. You’ll enjoy the conveniences and opportunities of urban life, a recreational mecca, and a quiet suburban setting surrounded by the natural beauty Vancouver Island is known for. If that sounds like paradise, you’re right. If you’d like to view Crown Isle real estate, please contact me today. This amazing lifestyle could be yours! CONTACT TINA AND DISCOVER CROWN ISLE TODAY! North Courtenay has some of the most desirable real estate properties in the Comox Valley and includes the rural communities of Black Creek, Merville, and Saratoga Beach. An invitation to experience rural living at its finest, North Courtenay is the perfect location for your custom-built estate home, with attractive features such as larger lots and acreages, privacy, mountain views, and access to beach front. Be sure to check out the Dove Creek, Huband and Headquarters areas of North Courtenay where you’re only a stone’s throw away from downtown Courtenay. This part of the Valley has acreages of all sizes and is an ideal location to start your hobby farm or get the space you’ve always dreamed of! West Courtenay has seen some of the biggest expansion over the last few years, with exciting new developments with completed or still underway with many new townhome units for first time home buyers or new single family homes. The area also offers larger parcels of land including ALR zoning and hobby farms. If you have horses that need to roam, this could be a great option for you! East Courtenay is home to the beautiful Crown Isle resort community, Valley View area, and is a highly coveted residential area for Comox Valley home buyers. East Courtenay real estate includes mid to high-end luxury homes with some of the best views in the Valley, close proximity to a world-class golf resort, the aquatic centre, shopping and restaurants. For families, this area has easy access to all levels of school, from elementary to a high school. Post-secondary education can be obtained at the nearby North Island College. Contact me to view this desirable community today! South Courtenay listing area extends to include the communities of Royston, Union Bay, Fanny Bay, Denman Island, and Hornby Island. What many properties in these communities have in common is sharing the beautiful Vancouver Island shoreline. Hallmarks of the southern end of the Comox Valley include quaint, charming small towns and villages, each with spectacular ocean views! The City of Courtenay has a multitude of homes of every description and include real estate opportunities for those in search of heritage homes in the Old Orchard area. The central proximity of the City of Courtenay in relation to the rest of the Comox Valley is a big bonus. Downtown Courtenay and the rest of the City are excellent shopping destinations and offer quaint boutique stores, amazing restaurants, breweries, pubs, theatres and more! Cumberland is a vibrant community that blends the history of a working-class coal mining town with new housing developments. The mountain views, access to Comox Lake, and a younger demographic make this a popular choice for young families who want easy access to outdoor adventures. Bustling Dunsmuir Avenue is home to many buy-local shops, delicious eateries, pubs and a brewery. Cumberland has really come into its own over the last decade and is a renowned mountain bike and arts destination. Homes in the town of Comox and the Comox Peninsula are among the most popular real-estate opportunities in the Comox Valley. This region is influenced by the surrounding beaches and Comox Harbour. The charming Town of Comox offers always increasing array of excellent restaurants, breweries and bars, shopping opportunities and cafes. Comox is an unbelievable destination for sailing, kayaking and stand-up paddle boarding, with it’s many beaches and safe paddling areas. For those who desire ocean views or the appeal of a seaside town, Comox is definitely worthy of a closer look when considering your next home purchase. Mount Washington condominiums and chalets offer both recreational and residential properties, plus an enviable alpine village lifestyle. Ski to the lifts right from your door and enjoy a snow-famous ski resort just 30 short minutes from Comox Valley amenities. In addition to world-class skiing and nordic in winter, summer comes alive in the mountains with a popular mountain bike park, scenic chairlift rides and sublime hiking in Strathcona Provincial Park. Don’t miss out on the opportunity to literally soar down the mountain via their new zipline, which is set to open in the summer of 2019! Contact me today to discuss where you want to live and what homes may be available in your favourite community!